Shipowners' body the International Chamber of Shipping (ICS) has that its members' concerns over fuel safety and compatitbility must be addressed at the next meeting of the Marine Environment Protection Committee at the International Maritime Organisation (IMO) in May. The call comes as the deadline for the 0.5% sulfur cap draws ever closer. 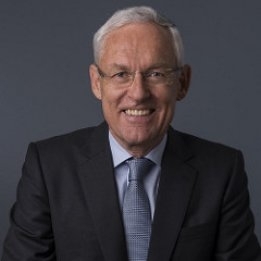 "We are rapidly moving into a multi-fuel future," said ICS chairman Ebsen Poulssen. Poulssen said that "fuel suppliers must play their part in providing sufficient quantities of safe and compliant low sulphur fuels". At the same time preparations by shipowners of their "ship-specific implementation plans for 2020" should be well underway. To be prepared for teething problems related to the bunker fuel rule change, the plans "should be carried out using the IMO template adopted at the industry's request and the detailed advice prepared by ICS which we have just updated to take account of other recent IMO decisions", Poulssen added. While the shipping industry has broadly accepted by the global 0.5% sulfur cap on bunker fuel, the emergence of many grades of bunker fuel, as opposed to one main grade, has raised fears of incompatibility and the possibility of engine damange and malfunction.